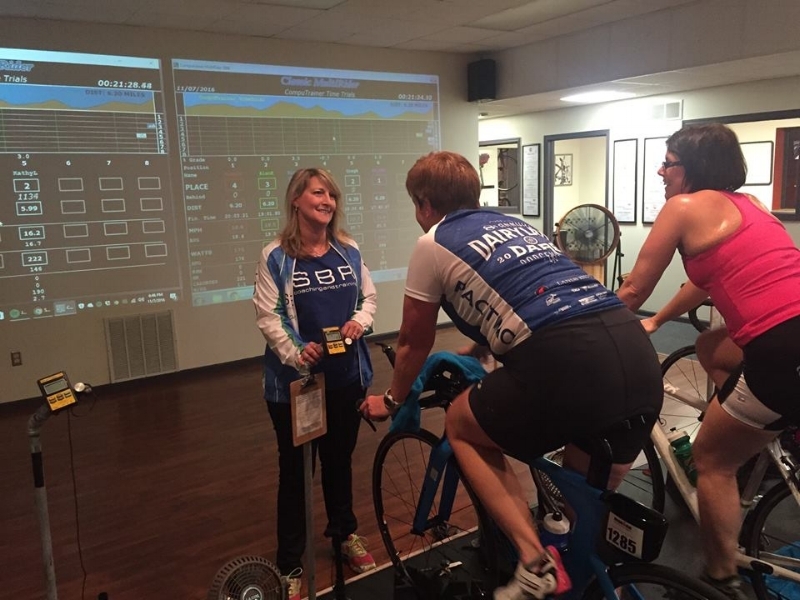 Join us Tuesday evenings from 7-8pm starting February 5th through April 23rd for our 2019 indoor Women's Cycling Class. Then we will transition to outdoor riding from May 7th through June 11th on Tuesdays from 6-7pm, which will include tire changing instruction. We'll build from the ground up, giving you all the tools you need to feel fit and confident to tackle an outdoor riding event at the end of our program. During our indoor session we'll teach you all about proper cycling posture, pedaling technique, cadence, shifting, perceived exertion and climbing. During our outdoor session you'll take those skills and learn to apply them to riding on the roads. We'll also go over riding safety, rules of the road and basic maintenance such as how to change a flat tire so that you're confident going out for rides. Whether you're been riding for awhile or are looking to get started, we can help you take the next step. You can choose to sign up for the indoor session, outdoor session, or sign up for both as a package deal. At the end of the session, the group will participate in the Loop the Lake bike event in mid-June as a class completion celebration (riding Loop the Lake not required to participate in the class and registration is not included). You will need your own bike, and it needs to be a road bike or time trial/triathlon bike (with slick tires). No mountain bikes. Sign-up online NOW. Use this helpful PDF to register on MINDBODY online.